The many health benefits of berberine may be setting it up for a position as one of the most powerful supplements in the world. It is one of the few natural products that has been shown to be as effective as, and even more effective in some cases than prescription drugs. Today, berberine is becoming recognized for helping with a whole range of medical conditions, including metabolic syndrome, type 2 diabetes, high cholesterol and triglycerides, heart disease, cancer and inflammation. I hope you are not overwhelmed by all the reference links in this article. I added them to show you that the amazing claims for berberine benefits are not wild and unsubstantiated. You can follow the links to learn in-depth about berberine, or just accept that I did the research to make sure that berberine really is as effective as people are saying it is! I hope that this information will answer questions such as, "Does berberine work? ", "What is berberine good for? ", "Is berberine safe?" and "How much berberine should I take?" Why Is Berberine So Special? Why Is Berberine So Effective? What Is the Recommended Dosage to Realise the Benefits of Berberine? Berberine is a bioactive compound that can be extracted from the roots, rhizomes, stems, and bark of a number of herbs. Important among them are the Berberis family of plants, including barberry, Oregon grape, and tree turmeric. Others are coptis chinensis (goldthread), Hydrastis canadensis (goldenseal), and phellodendron (not related to the household plant called philodendron). 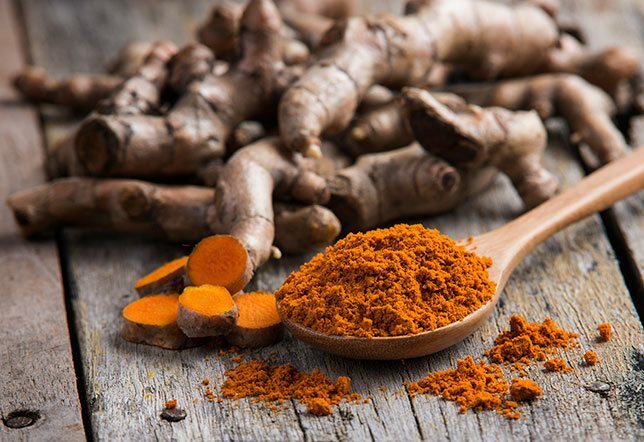 Turmeric - One of the essential ingredients in berberine supplement. It has been used for many years in Chinese and Ayurvedic medicine, and has been closely studied in Western medicine only in recent years. Westerners are discovering that berberine is, indeed, bioactive, and there are close to 3,000 studies to prove it. A medical definition of bioactive is: "Having an effect upon a living organism, tissue, or cell. Biologically active. Antibiotics, enzymes, and vitamins are all bioactive substances." A bioactive substance has an effect on, or causes a reaction, in living tissue. By definition, pharmaceuticals are bioactive, and they have been carefully designed to have a particular effect, or cause a particular reaction, in your body. We sometimes forget that plants can have the same or similar effects as prescription drugs. Of course, pharmaceutical companies may want you to know as little about this as possible. I don’t blame them. They are doing a great job in research and have a right to the profits associated with it. Certainly they will not advertise when natural products work as well as theirs. However, sometimes we discover a plant with properties that just cannot be ignored. Berberine is one of them. Chemically, it is classified as an isoquinoline alkaloid. Alkaloids are plant constituents that contain a nitrogen-bearing molecule. There are seven broad groups of them, of which isoquinoline is one. Although the chemical structure of all alkaloids is similar, it would be silly to lump them all together since they have such a wide variety of effects. Some alkaloids that you may recognise are cocaine, morphine, nicotine and caffeine. I’ve provided this list to show that alkaloids clearly have very strong "bioactivity" in your body, and berberine does as well. Initially, berberine was used primarily for gastrointestinal issues. This use was based on research published in 1997 that showed the usefulness of berberine for infectious gastritis. It is often prescribed for diarrhea, including diarrhea caused by food poisoning. Berberine has also been shown to improve the symptoms of irritable bowel syndrome (IBS), and it has a very positive effect on gut flora. The second major finding by Western researchers was that berberine has powerful antimicrobial benefits. It fights bacteria, viruses, fungi and parasites. So, for example, it can be used for candida, inte﻿stinal parasites and infections. It was found to be better than sulfacetamides for treating C. trachomatis eye infection. Multi-drug-resistant bacteria are becoming a huge problem, especially in hospitals. These are commonly refered to as superbugs. An important finding was that antibiotics became more effective against these bacteria when berberine was added to the treatment. Berberine is recommended for those who have candida or yeast overgrowth, or SIBO (small intestine bacterial overgrowth). Over time, it became obvious that the benefits of berberine had additional clinical applications. A cluster of conditions — increased blood pressure, high blood sugar, excess body fat around the waist, and abnormal cholesterol or triglyceride levels - that occur together, increasing your risk of heart disease, stroke and diabetes. There are a number of studies that show how effective berberine is at dealing with each of the conditions in this cluster. In addition, berberine has a multi-target effect, and may therefore be able to deal with these interlinked chronic diseases simultaneously. It could be used to replace the 3 to 5 medications currently prescribed to treat them. A meta-analysis of twenty-seven randomized, controlled, clinical trials included 2,569 patients. It showed the efficacy of berberine for type 2 diabetes mellitus, hyperlipidemia (high cholesterol or triglycerides in the blood) and hypertension (high blood pressure). Berberine is safe, and has none of the serious side effects often associated with medications for these conditions. If you’d like to read a more medical explanation of how berberine works, this is a reference to an article in the Natural Medicine Journal. Interestingly, one of the signs of metabolic syndrome is large waist circumference. It is an indicator of abdominal obesity or "belly fat", packed around your vital organs. People with "apple" shapes are more at risk for illness and death than those with "pear-shapes". It is important then, that several studies have shown that, although berberine may lead to only moderate overall weight loss, it is very efficient at getting rid of belly fat. You can read more about berberine for weight loss here. Berberine has a powerful action against cancer, and particularly metastasized cancer, where cancer cells have spread to the bloodstream. It has been shown to stop the proliferation of cancer cells and to kill them. Berberine reduces blood glucose in people with diabetes. It does this in various ways, including encouraging the growth of new insulin receptors and boosting insulin sensitivity. It stimulates the uptake of glucose into the cells, and reduces glucose production in the liver. In fact, it has been shown to be as effective as the drugs usually prescribed for diabetes, especially metformin, but without the side effects. This is very important for diabetes patients who have kidney, liver or heart diseases, and who therefore cannot take the anti-diabetic drugs. Other studies confirmed this, showing both that berberine was better than metformin, and also that combining berberine with drugs gave better results than drugs on their own. Other important findings about cholesterol management is that berberine is better than the drug﻿ ezetimibe and that it doubled the effectiveness of simvastatin. Another benefit of berberine is it helps with the management of diabetes-related complications, such as diabetic nephropathy (damage to kidneys), diabetic neuropathy (damage to nerves), and diabetic cardiomyopathy (damage to the heart muscle) due to its antioxidant and anti-inflammatory properties. It should be noted that some of these studies also showed that berberine had the biggest effect when it was accompanied with a change in lifestyle (exercise, diet, sleep, etc). One of the results of obesity is non-alcoholic fatty liver ﻿disease (NAFLD). Studies show that berberine can be used instead of drugs to combat this disease. The outcome of a meta-analysis of 6 studies, involving over 500 subjects, concluded that, "Berberine has positive efficacy on blood lipids, blood glucose, liver function, insulin resistance, and fatty liver condition of NAFLD patients." One of the best-known benefits of berberine is its use for reducing obesity, especially that associated with diabetes. One study showed slight weight loss, but significant health benefits. A second study showed how subjects lost belly fat and reduced the BMI readings from obese to only overweight, after just 3 months of taking 300g of berberine, three times a day. Berberine has also been shown to inhibit the growth of fat cells at the molecular level. See more information about berberine for weight loss here. It normalizes blood lipid levels, reducing LDL (bad cholesterol) and increasing HDL (good cholesterol). Berberine is better than metformin at controlling diabetes and obesity. It is helpful for women with fertility problems. Women on berberine achieved better weight loss, better blood lipid levels, and more live births, with fewer side effects, than those on metformin. Several of the studies cited above show the benefits of berberine on cholesterol levels, diabetes, high blood sugar and obesity. All of these are risk factors for heart disease, so berberine may lower the risk of heart disease in the long term. This is one of the reasons you might want to take berberine regularly as a herbal supplement. In addition, it has been shown to reduce symptoms of heart disease and to reduce risk of death in patients with heart failure. Inflammation and oxidation are known to be at the root of many chronic illnesses as well as premature aging. One study showed how berberine inhibited oxidative stress and inflammation in a variety of tissues, including the liver, kidneys, pancreas and adipose tissue (body fat). It seems to do this at the cellular level. The results seem to be associated with berberine’s positive effect on gut bacteria. This shows the potential to break the vicious cycle of oxidation and inflammation. This property makes berberine a powerful anti-aging agent. 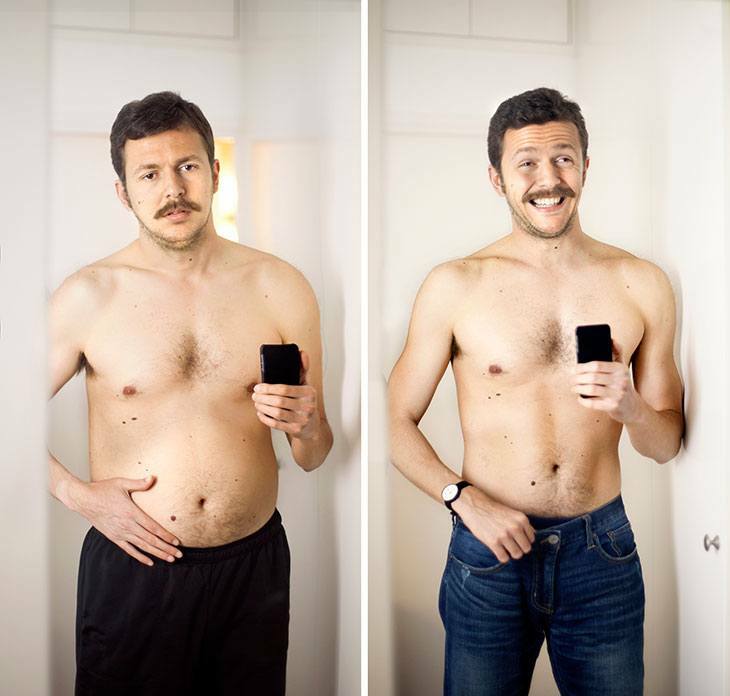 It doesn't just influence how you look, but it actually prevents some age-related illnesses. There is new evidence to suggest that mitochondrial health is a key factor in ageing and berberine supports mitochondrial health and helps to regulate the balance of energy in your body. The answer seems to lie in the ability of berberine to activate an enzyme called AMPK, located inside body cells. This enzyme has been called the "metabolic master switch" and it plays a major role in regulating metabolism (the body’s ability to convert food to energy). It is usually activated by the hormones leptin and adiponectin. Other than berberine, the only other compound known to do this is resveratrol. When AMPK is activated, it normalizes lipids (fats like cholesterol and triglycerides), blood sugar levels and energy imbalances. When it is working, the body is involved with the maintenance and repair of cells and the balancing of other body systems. When leptin signalling is defective, often seen associated with insulin resistance, AMPK is suppressed. This sets off a syndrome which includes high blood glucose, diabetes, abnormalities in fat levels and various systems being out of balance. 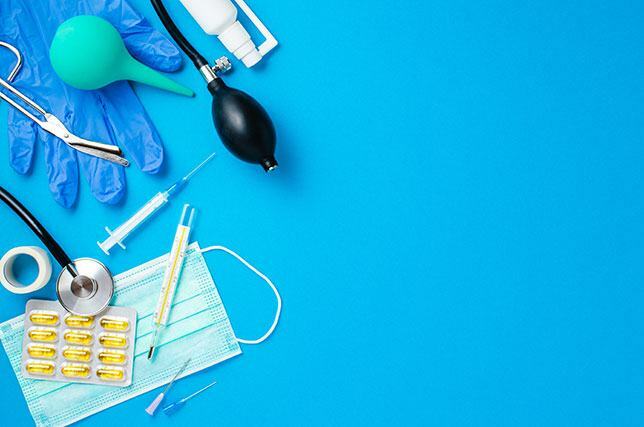 In theory, a single medication that activates AMPK could replace all of the medications used to treat these various aspects of metabolic syndrome. Rather than merely treating symptoms, controlling the AMPK switch may control the entire gamut of metabolic syndrome symptoms. Lifestyle changes are generally recommended for patients with these symptoms. Exercise, dieting and weight loss are the most important changes. When AMPK is activated, it has the same effect as these lifestyle changes. When it is not activated, it can be compared to someone eating a high-calorie diet and leading a very sedentary lifestyle. This doesn’t mean that you should take berberine and skip the exercise! There are studies that show when you do both, lifestyle changes plus supplementing berberine, you will have significant health benefits. Most sources recommend between 300g and 500g, 3 times per day. It is best to take a few doses of berberine per day, rather than a single large dose, as this will not be absorbed properly and may lead to stomach cramps or constipation. It’s better not to take it on an empty stomach. To improve absorption, you might try taking berberine together with turmeric extract, quercetin or milk thistle. A caution for berberine, as for all herbs, is to take a break after a few weeks. So, use it for at most 2 months, then stop for at least 2 weeks. Also, please check with your physician before you take it, especially if you are taking other drugs. Taking this supplement is not recommended during pregnancy, as berberine crosses the placenta, and there are some indications that it may cause pre-term contractions. Similarly, don’t use it if you are breastfeeding, as it will cross into the milk. Did you have any idea that berberine has so many healthy benifits? If it were a pharmaceutical, it would probably be hailed as a miracle drug! Do you know of anything else that holds out so much promise for dealing with serious health issues and with so few side effects? I take berberine every day as a dietary supplement because it has so many health benefits, and of course I want to cash in on its anti-aging properties! Some of you may want to consider it also for more serious health conditions such as metabolic syndrome (including diabetes, high cholesterol, obesity and heart disease), cancer and PCOS. Here are some berberine supplements you might like to try. You can read my review of them in the article on berberine for weight loss. As a person who ingest herbal supplements daily,I find this article interesting,but it seems to fall into the same catorgory that other herbal supplements offer.I can’t imagine taking this supplement 3 times a day,because of my other supplements,however,it is very interesting to know what this supplement offers and maybe just one a day with others can be beneficial.I did order this product recently,but haven’t been able to keep up with it every day.I feel that the CoQ10’s ,vitamins and nitric oxzide products that I take may be sufficient enough. I am taking twice a day 500mg and it lowers my blood sugar result. I am taking only for two weeks and found it is very effective for me. Thank you so much, of course, I am doing exercise and diet at the same time.